In August (I say May in the video but it was really August) my older sister Eva came to visit. I sat down with her and my adoptive mother Margaret to talk about how we became one family. It was a really powerful and emotional conversation. They talk very openly about their feelings and what it was like getting to know each other. This was the first interview we did for the documentary film I’m working on. If you enjoyed this video check out our project page on kickstarter. Just a reminder that on October 5th at 3:40pm I will be speaking at the #140 Character Conference in LA. I’l be sharing our story and talking about the documentary film. The event will be broadcast live you so you can watch me and all the other great speakers. My First Interview for the Documentary, and it was a Great One! Last night I interviewed my mother and sister about becoming one family. It was a really moving and powerful conversation. If you weren’t able to join us live, don’t worry, we saved the video. There are some problems with my audio. Eventually I will re-upload this interview with better audio, but I thought it was more important to get this up for all of you. As always, we would love to hear your feedback and thoughts about this interview. This past weekend I attended a workshop taught by Philip Bloom. It was hosted by The Boston Final Cut User Group and Rule Boston. The workshop was 7 hours packed full of information about how to use digital SLRs for film making. Being new to shooting with DSLRs, it was very helpful. I want to share with you some of my take aways from the event. There was a lot of information covered so I’m only going to share what is relevant to a documentary film, like the one I am working on. The two cameras we talked the most about were the Canon T2i, 7D and 5D Mark II. While there are a couple more cameras that are capable of doing full HD video, these three have the most options. The main difference between the cameras is in image. This has to do with the size of the sensor used to record the images. The T2i and 7D use the same size sensor and produce a similar image. The 5D uses a full frame sensor that produces an athletic image like no other video camera. To see an example of this camera in action check out this year’s season finale of House. 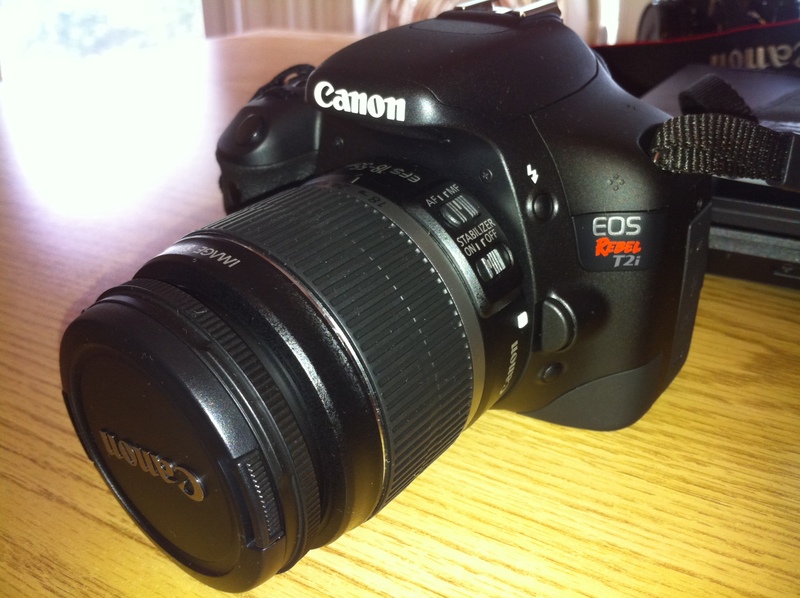 The 7D does seem to have some more advantages over the 5D and that is probably the camera we will end up getting. Unless you love the look of the 5D, then the 7D should work just fine. I asked him if one was better for interviews and he said either one worked great. Philip stressed that lenses are the biggest investment. Ideally you want a lens that will work on both the 7D and 5D. Since the sensors are different sizes, the optics change for each lens. I’m still trying to understand this myself but it’s something to research if you are going this route. For interviewers he recommended the Canon EF 70-200mm because it’s light and works with both cameras. It’s very challenging to keep the camera still when shooting, so image stabilization is a must. You will want to shoot in a very flat color. Turn the contrast and saturation all the way down. This will prevent loss of detail in the image and make it easier to color match the video in post production. A simple solution for color matching is Magic Bullet software. You can easily create a style for your film by draging and dropping effects onto your video. If you are going shoot with moving subjects, you will need some extra equipment. It’s nearly impossible to get a stable image without it. Zacuto has a number of products for DSLR cameras that will make it easier to keep the camera still. One piece of equipment that was recommended by someone other than Philip was the LCD ViewFinder. It’s nicer the Zacuto version because it attaches by a small magnet stuck to the camera. The take away here is DO NOT use the camera as your main source of audio. You can use it for reference audio but the quality is not good and there is no way to monitor it. You want to use an external recorder to capture the sounds and then sync the audio in post production. You can use PluralEyes software to easily match up the audio and video. It is so easy Philip was even able to give us a live demo and it worked perfectly. For a recorder he recommends the Tascam DR100 over the Zoom H series. The main reason being that the Zoom recorders have problems closing files. You could lose an entire interview if you run out of power. The Tascam uses a rechargeable battery and two AA for backup. It also does not have the file closing issue. The biggest take away from the workshop was that Philip is basically a one man film crew. 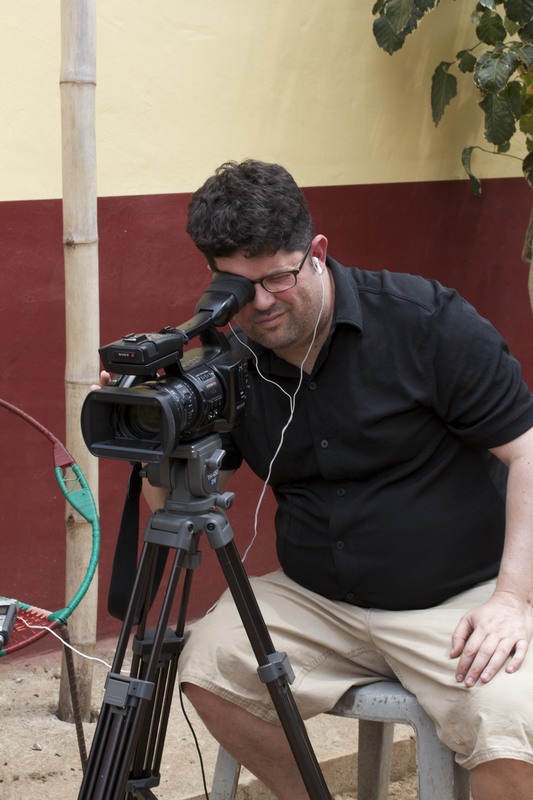 With these cameras he can create stunning imagery without all the equipment you would traditionally need. This is great news for John and I because this is exactly the situation we are in. We want to create something that looks great without breaking the bank. After this workshop I am excited about the possibilities and can’t wait to get started. I want to thank Philip and everyone else who made the event possible. It was just what I needed to put my project in perspective. I’m very excited to announce the first interview for the yet to be titled documentary I’m working on. The interview is going to be about becoming one family. It will take place Saturday July 31st and we will be broadcasting the interview live so you can be part of the filming. 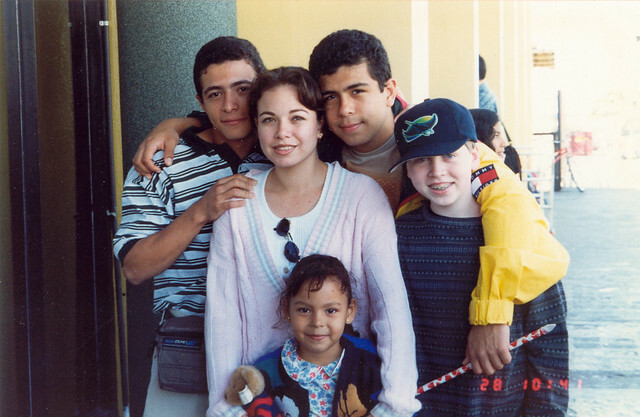 One question I get a lot is: What was it like for your families when you were reunited? It’s difficult to say because it was an emotional time for everyone. We were people from two completely different backgrounds thrown together by chance. Our own real connection was through me and I was only 16. While I never felt hostility between my two families, it was obviously hard for all of us. My adoptive family now had to share me with a whole group of people. My birth family had just found a long lost relative and wanted to get to know me. Thanks to a lot of hard work and understanding by both families, we slowly became one family. At the end of July my older sister Eva will be visiting us and I thought it would be a great time to address this subject. Eva, my mother Margaret, and I will be sitting down to share our thoughts and experiences about this interesting time. We would love it if you would join us for this exciting discussion. We will also be taking your questions. Since this is being filmed for the documentary, there is a chance your question could make it into the film! You can RSVP for the event on Facebook or Eventbrite in case you’re not on Facebook. In part 3 I talked about the drawbacks to using digital still cameras for film. In this part I’ll be talking about the equipment we are looking at. We are looking at a number of the Canon’s high end still cameras, specifically the Canon T2i, 7D and 5D. Each of these cameras are capable of taking full 1080p HD video. Thats a technical way of saying they take video at the highest video quality commonly used. While there are other brands that are able to take high definition video, Canon cameras are more widely used for film projects. Earlier this week I bought the Canon T2i. We probably will not be using this as our primary camera. There are some issues with focusing when using external equipment that would make it hard to use during the interviews. We would not want to do an entire interview only to find out later the focus was off. The body is smaller than other cameras. This means it’s not as durable and it may not work with bigger lenses. I am getting this for more of a personal camera. It may also be used to film some “B role” material for the doc. For our main camera we are looking at the 7D or 5D. These are the cameras most widely used for filming. They do not have the focusing issues of the T2i and have other additional features. There are also rumors that Canon will be announcing a new camera geared more towards video in the coming weeks. It could have a rotating display among other advanced video features. Since we are not in a rush to make this movie there is a chance a newer camera will be exactly what we are looking for. In order to better understand how to shoot with these cameras I am attending an all day workshop with Philip Booom taking place this Saturday. I mentioned Philp Bloom in part 2 when I posted a video he did using these cameras. I’m very excited to be learning from the best. I think it will be a good experience and it will cover everything from what lenses we should use to editing.